This post is in collaboration with Whole Foods. 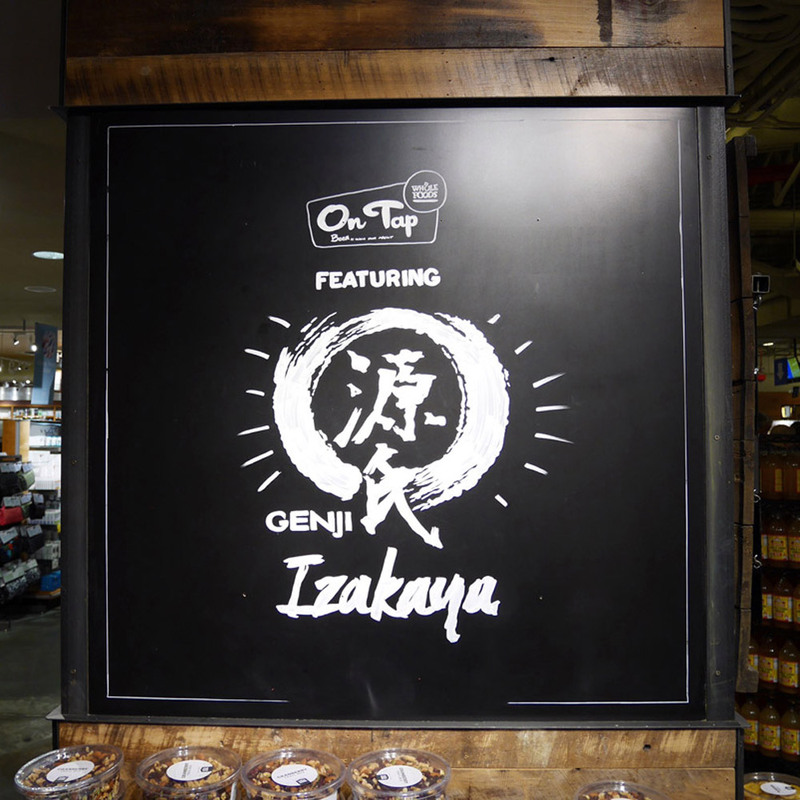 The third stop of my mini food tour was Genji Izakaya at Whole Foods Columbus Circle. For the full story, read Day 1 and Day 2 first. Genji is no Whole Foods newbie as they already have 160+ sushi bars at Whole Foods locations across the country. 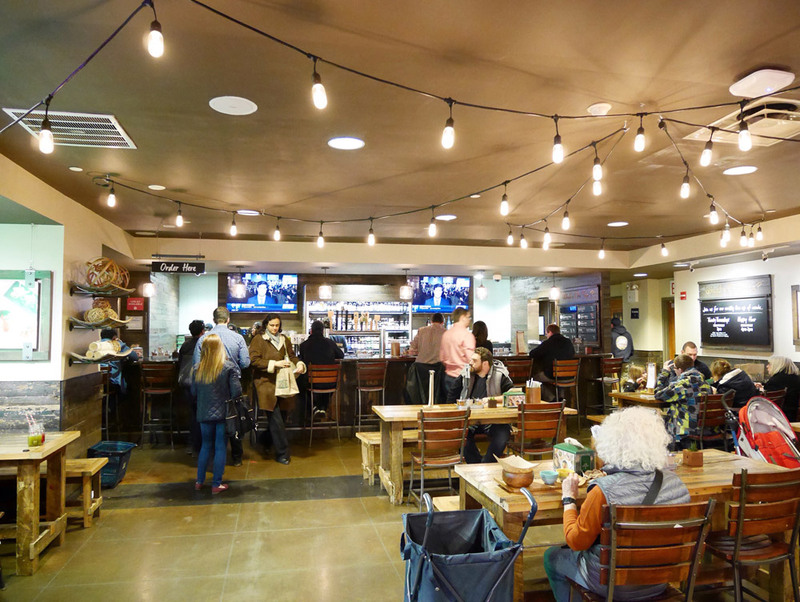 Whole Foods Columbus Circle, one of the busiest Whole Foods locations in NYC, recently renovated the On Tap bar and instead of serving typical gastropub fare, they gave it a Japanese twist by introducing Genji Izakaya. 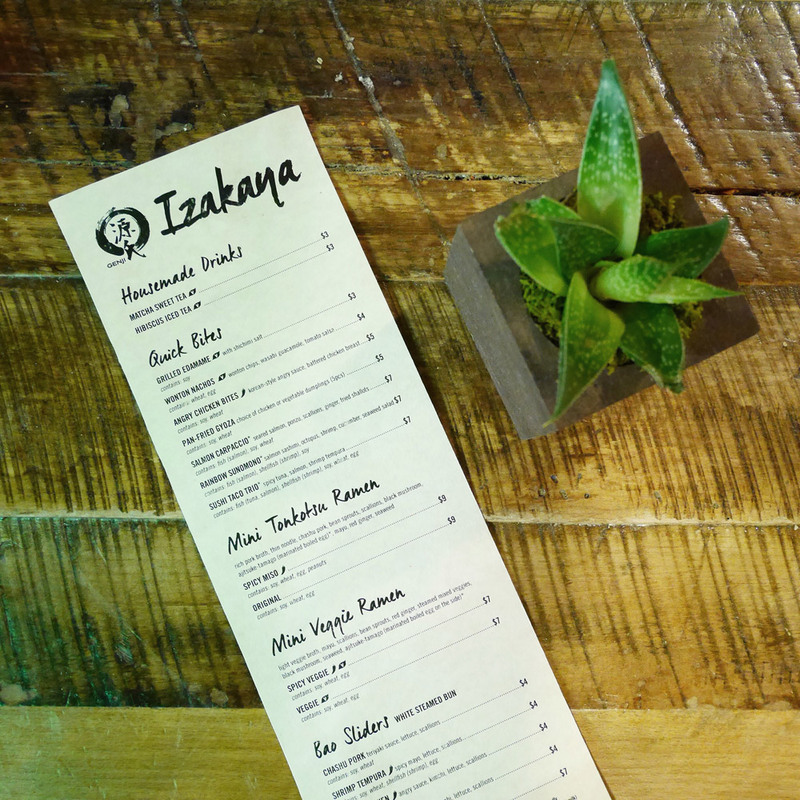 Think Japanese small plates and ramen paired with beer, wine, and sake. Unlike most ramen restaurants in NYC, this is a fast casual ramen-ya where you order your food at the bar at Genji Izakaya. I visited during lunchtime on a weekday, and there were a number of people grabbing a bite before heading back to the office. I imagine it must get pretty crowded after work. During my visit, I tasted almost all of the meatless options on the menu and played a little game of tetris to get it all in the shot below. 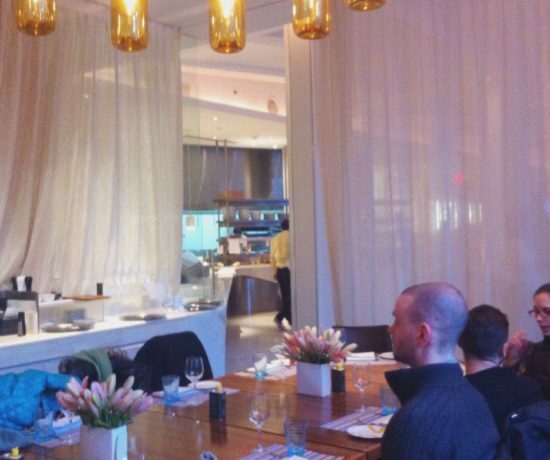 Every item on the menu is under $10, and the menu is designed for sharing. Here’s how to do it at Genji Izakaya: bring your friends, have a couple cocktails, share small plates, then finish your meal with a mini ramen. 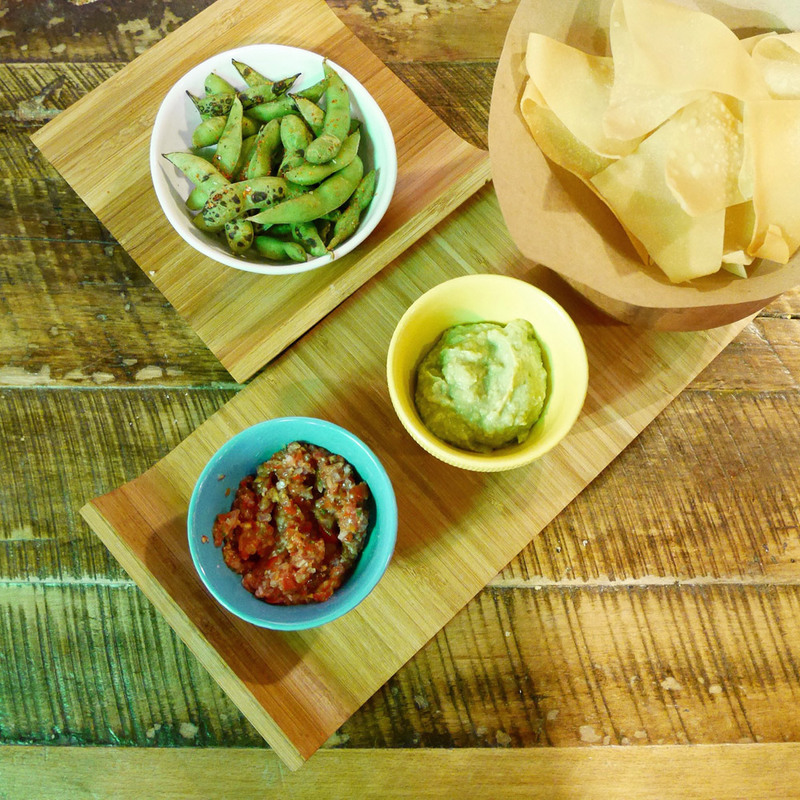 Edamame ($3) is a classic starter when you’re having ramen. Here, they grilled it before tossing it in shichimi salt. The light grilled flavor is nice, but nothing out of this world. The wonton nachos ($4) are an interesting fusion snack. I didn’t find the fried wonton chips to be that remarkable, but the wasabi guacamole and yuzu tomato salsa were tasty. 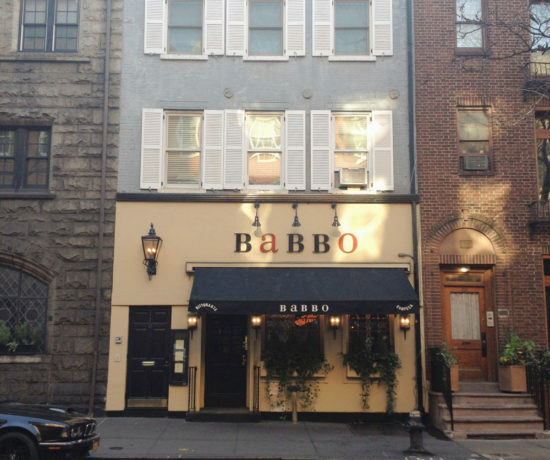 You can order one bao for $4 or two baos for $7. I really like having the option of just getting one so you don’t fill up too much. 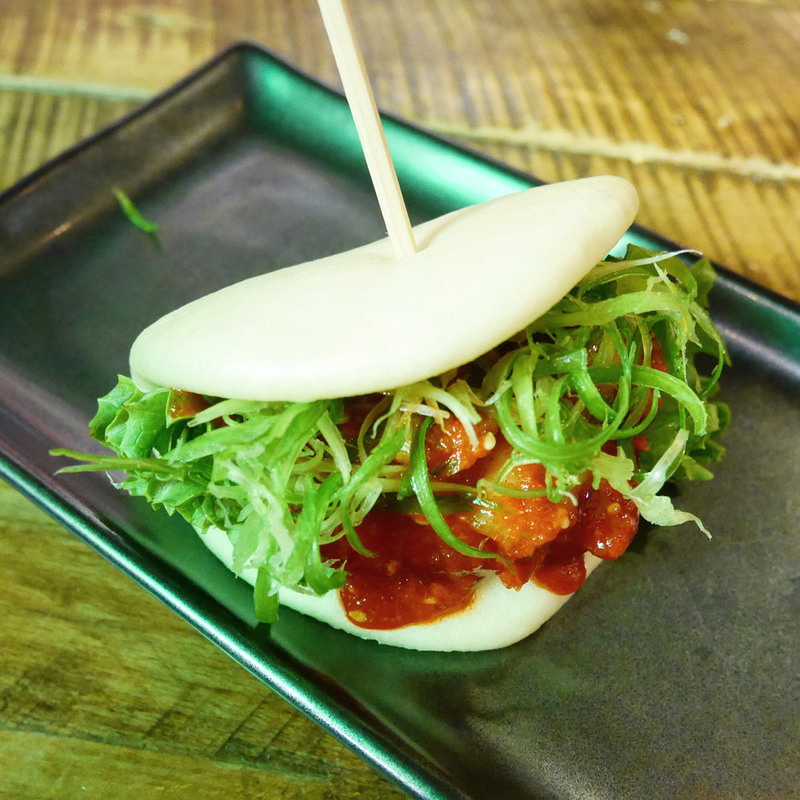 The angry soy bao comes with a tender soy patty with angry sauce, kimchi, lettuce, and lots of scallions. The bun itself wasn’t as light and fluffy as I would like, but the sauce was real tasty and had a subtle smokiness. 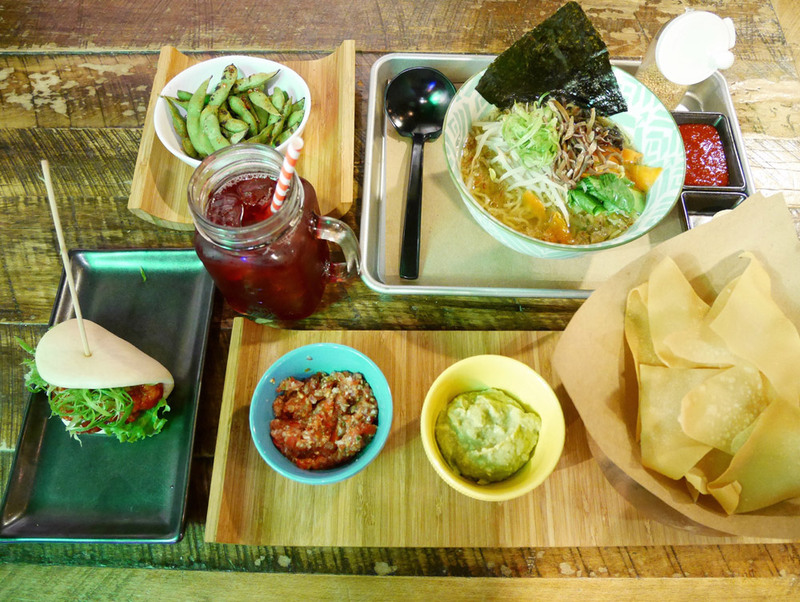 Even though this is a Japanese gastropub, there’s a bit of hipster thrown in the mix too. The teas come in mason jars with cute paper straws. 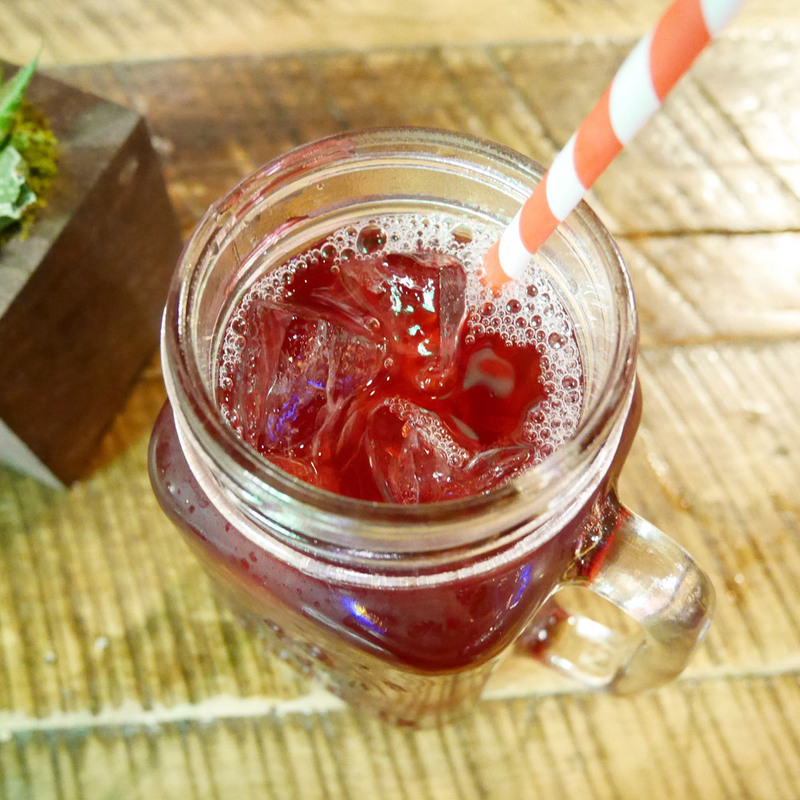 The hibiscus iced tea is a beautiful color and refreshing. Matcha fans should get the matcha sweet tea, which isn’t too sweet despite the name. Last, but not least, the ramen at Genji Izakaya. Don’t be fooled by the word “mini” on the menu because the $7 veggie ramen bowls are not mini at all. The veggie ramen has a tasty vegetable based broth that I couldn’t stop sipping. 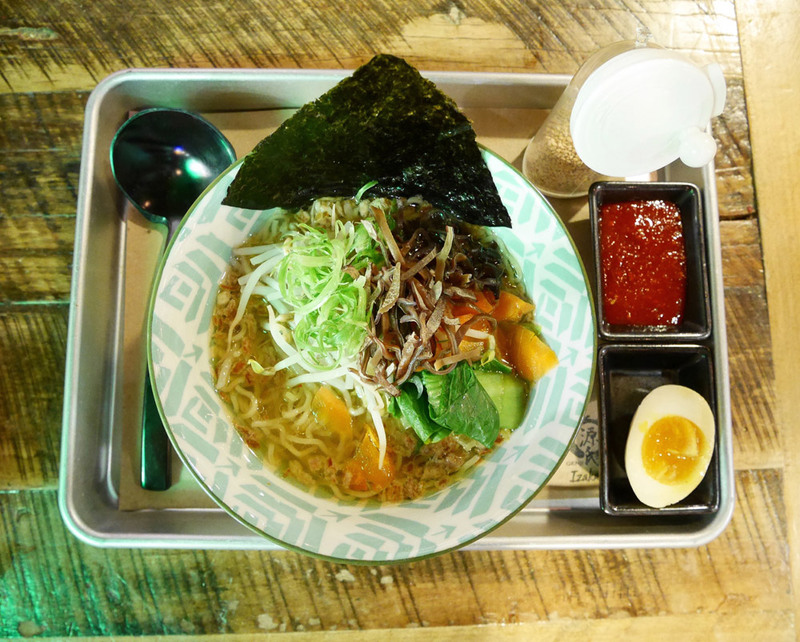 If you want more flavor, get the spicy veggie ramen. I got the spicy sauce on the side to mix into my ramen myself, and it’s the same good stuff that’s in the bao. Plenty of veggie toppings of different colors, flavors, textures. I rarely eat eggs these days, but I ate this one and it was perfectly cooked. The noodles are egg-free noodles from Sun Noodle, which means that if you say no to the egg, this is vegan! Make sure you slurp your noodles ASAP, so they don’t get bloated. Overall, pretty great for just $7. Note: This post is in collaboration with Whole Foods. I was invited as a guest to this establishment and received a complimentary meal. 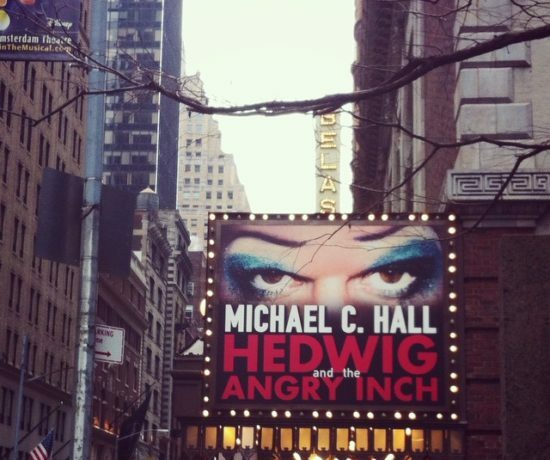 This was not in exchange for a positive review and all opinions expressed here are my own.